I've been on DB for a while and I never post, but this was post worthy. I thought I would loose this game. While I didn't eat completely bad during spring break, I ate food that was not on my current plan and I didn't workout at all that week. I gained weight and I thought, oh well - there is no way. I immediately got back on track. I also stayed off the scale for a week and decided I would weigh in again on the last day, and I would be okay with whatever outcome. In the past I would have used the weight gain as an excuse to quit. I came in .2 under goal. I'm so freaking proud - and not just about winning. I'm finally in a place where I'm no longer on a "diet". Eating healthy and exercising is the norm. My life has completly changed. NEVER GIVE UP! Littlest Hobo , Kelsey E. and 23 others like this comment. Rachel R. , Jamie L. and 7 others like this comment. Sauna time or sit in car with heat on high! I have 1 pound left to lose. What can I do to drop it today? Rachel R. , Jamie L. and 8 others like this comment. I wasn’t going to join the next bet but I think I need to. The weight isn’t coming off as easy as before but this is the only thing I feel that keeps me accountable. When I’m not doing a bet I feel like I can just eat and eat. So who’s doing the next bet?! Alyssa M. , Kyla T and 44 others like this comment. 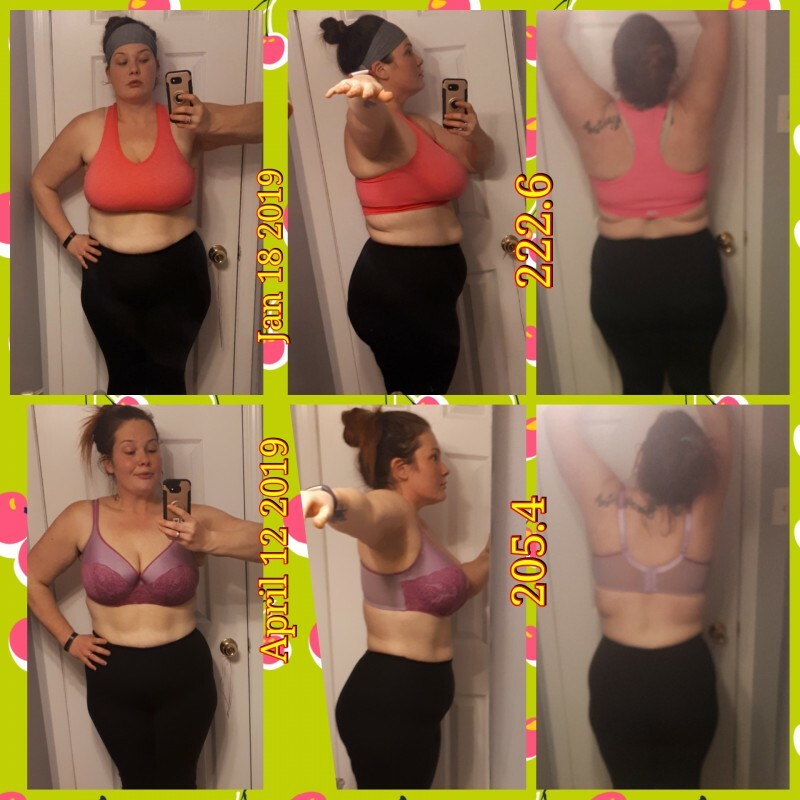 My Biggest Loser challenge ended today. I won't win highest percentage loss. Super happy with these results! It's all about the inches baby!! I'm still in for the Challenges and Maintain prizes. Under goal for this bet 5 days early and sooooo close to Onederland!! Thank you all for the boost that was so needed! On to the next one and my first goal! My 1 year Anniversary with Weight Watchers is on Sunday. I am down 94.1lbs as of today. I am celebrating by climbing the 144 flights and 1776 stairs of the CN Tower. Crushing goals and scratching off my Bucket List for 2019!! lindsey s. , Rachel R. and 44 others like this photo. That’s awesome!! I love your celebrating plans! So my mother in law started judging me on my weight loss. Asking when I hit a plateau, negative statements and such. So she started saying her husband likes big women and that probably her son does too and I should quit. I said okay if he does but I’m doing this for myself. If he loves me for me I’ll always be me. People/family will always try to put you down and you gotta put yourself first. If you’re confident and comfortable in your own skin then I’m happy for you! Be happy and remember why you’re doing this! Sorry had to vent! Have a great Friday! Lizw07 , lindsey s. and 48 others like this comment. I am so sorry you have to hear that!! It’s a shame people can’t just support each other! Good for you, for doing this for a better you!! Only 0.5 lbs left to go!! The weekend is always SOOOO hard for me! But I can do it!! I can do hard things! lindsey s. , Rachel R. and 30 others like this comment. You can do this!! Love the positivity! Yes you can! Great affirmation. I need to write that one down. So, question...I’m 5’5” and 125 pounds. I’m not stick thin but I’m pretty happy with my weight but, I also love these games and they hold me accountable. What do people do when they get to their goal weight but still want to play? Because there are no maintainer games anymore, right? lindsey s. , Julie G C and 11 others like this comment. I’m the same height as you, but in my 160s. I know technically you could prob still play 1-2 more games before you hit the 18.5 BMI rule, but that’s also if you want to lose any more. Like tanning, ect, we do get hooked on these and my husband was asking me. What next? Shelliene , Julie G C and 39 others like this comment. That thing kicks my tail!!!! Yes!! I never thought about as s mind clearer! Ha! I just posted about being 2.3 pounds away from goal and feeling discouraged and I had so many of you cheer me on and tell me that I can do it and if not don’t give up and I’ve still made progress. I love this community! So positive and uplifting! So thank you so so much!! I really wish they had a maintainer group because I need the accountibilty but I’m almost at my goal. Rachel R. , Jamie L. and 26 others like this comment. Girl I'm 2.5 lbs away we got this!!!! Go kick it in the @$$ Kelsey! !